Ever since I posted this cake about a year ago, I’ve been feeling guilty about it. This poor cake had no justice, my lack-luster photo and the fact it was such an old post meant that it sat in the corner of my blog, basically alone. No body knew how AMAZING it is! It’s easy, simple and super fast to make. It’s fancy enough to serve as dessert, and simple enough to throw together in under an hour. 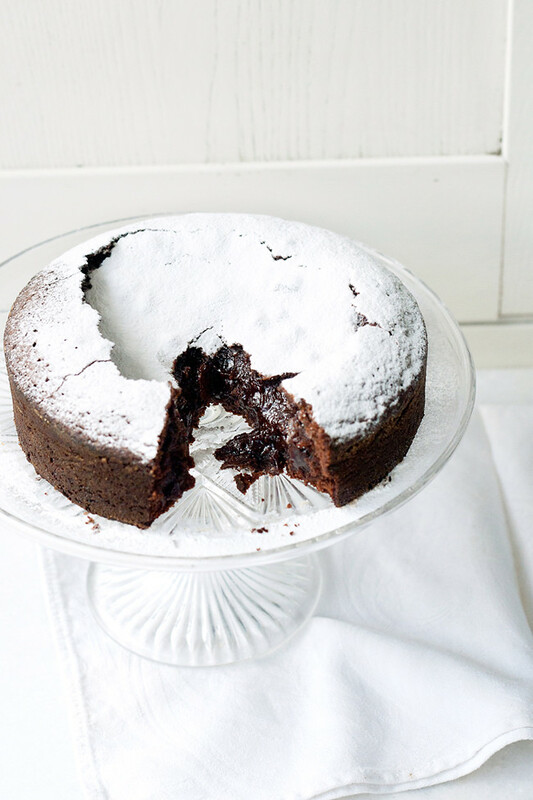 This cake is also known as Kladdkaka, which literally means Sticky Cake. Now, I get it..sticky…uh…yeah okay I guess so, but I would say more like ‘super delicious, gooey, molten chocolate brownie’ cake. And it really is how I described it all that time ago – a perfect cross between a molten chocolate cake and a fudge brownie; the edges get chewy, the top is crisp, and the centre is pure molten chocolate goo. Now seriously, you have like ten minutes right? Okay, so actually, actually move your body into the kitchen. Mix up this cake batter and shove it into the oven. Then there’s around 30 minutes to wait for the cake. Go paint your nails, re-watch the tutorial video above, or maybe catch up on half an episode of Grey’s Anatomy. Yeah. No more than half the episode. No, stop…stop. Don’t get caught up looking at McSteamy, noo you’ll over bake the cake! This cake does not want to be over baked. It needs to be gooey in the middle, and crispy on top. It needs to be eaten preferably, while watching the rest of that Grey’s Anatomy episode, with a cup of tea. Make a reference to the above photo. See, delicious, thin crispy top. Molten centre. -The baking time stated in the recipe below has a super large range; this is because it depends on the size of your cake pan, my 6″ pan took about 40 minutes, however a larger cake pan will require a smaller baking time. 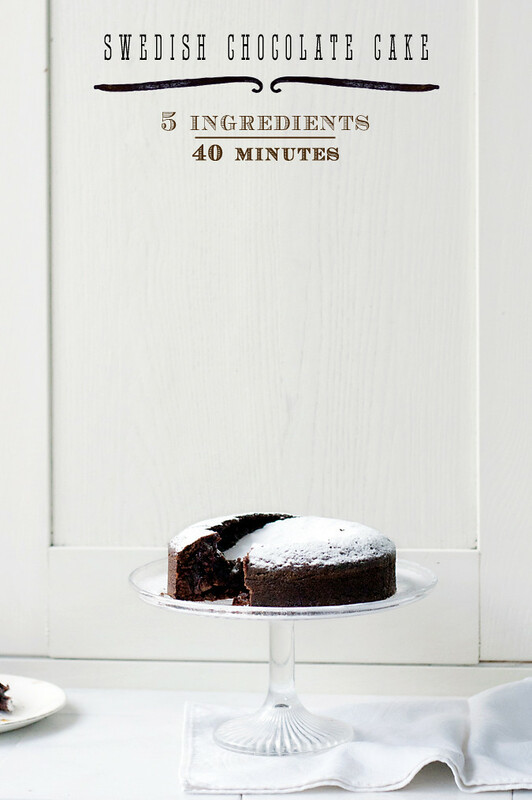 In my mum’s family recipe book, the original recipe says 35 minutes – HOWEVER, you seriously need to make sure you check on your cake at around the 20 or 25 minute mark. It’s supposed to still be gooey in the center when you take it out of the oven – none of this ‘clean toothpick’ business unless you want to end up with a disappointing, dry cake!!!!! Preheat your oven to 350 degrees F (180 degrees C), butter and flour a 6″ to 8″ cake pan, it needs to be quite deep. In a medium sauce pan, melt the butter. Stir in the rest of the ingredients. Pour into the grease cake pan, and bake for 20-40 minutes (SEE NOTES!!!!!). Let the cake cool in it’s pan, then run a dull knife around the inside edge of the pan to loosen the cake. Turn the cake out onto a wire rack**. Dust with powdered sugar. Serve warm. yum yum yum! i like the idea of goo inside + brownie-like. all goodness in one! Yesss, that makes me happy, haha! Adorable video! Plus I am OBSESSED with your outfit 🙂 so cute! I love your video and the music you chose was great, I felt like dancing to it. This time you did the cake justice, your photos are beautiful. I will give it a try! Looks absolutely fantastic! I would love to try some. Goyte should hire you to do his next music video 🙂 how artsy! As for eating this over an episode of Grey’s Anatomy…maybe. Doubt it’ll last me the entire 60 minutes though, so I might have to watch–I don’t know–an episode of Spongebob instead? hahaha, I know he’s been painted with with triangles and all, but he might get mad if I start dusting powdered sugar all over his body :/ I know, I have a bad habit of eating dessert while watching things like Grey’s Anatomy or CSI, not the best combo (espesh with a gooey dessert…that can be just ew). Spongebob seems a lot better, BUT make sure that you’re not shovelling this cake into your mouth when inhaling/laughing, the powdered sugar…well, it’s not fun, trust. Whoa. That looks like I want to stick my face in it. Yum! 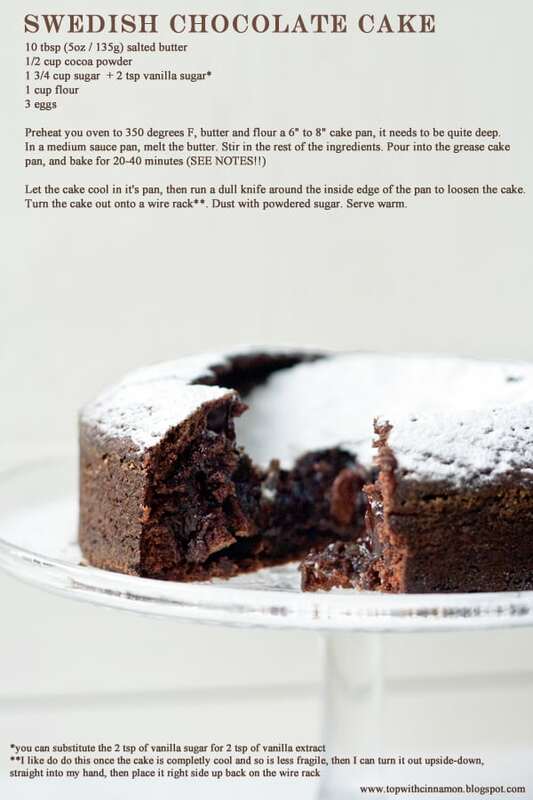 Ooh, I love kladdkaka (I’m a Swede, so, of course), and this looks beautiful! Now I’m craving some. 🙂 Good thing it’s so easy to whip up…. This cake looks amazing – love the goey middle of the cake! The confectioner’s sugar makes such a wonderful contrast on the pictures! Stumbled on your blog from foodgawker! 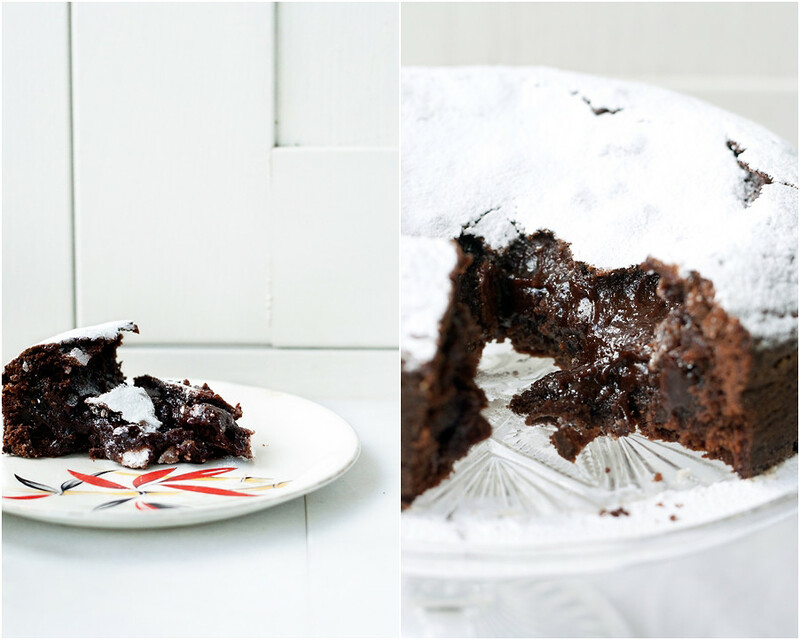 Your Swedish CHocolate Cake looks amazing and easy to make! Also, your vid makes it even more amazing! nice work. Love the video, love the idea of the cake….but mostly really…love the video. seriously nice work. This was amazing-super easy and so perfect! 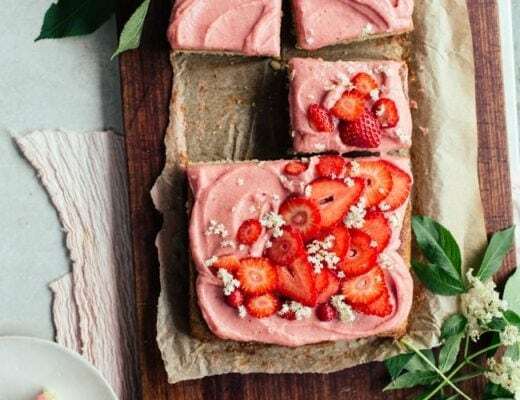 Thanks for posting, I have a feeling ths will be my go to dessert for a while! thanks! It’s always good to hear from people who make my recipes 😀 omg, I know, it’s one of the best things ever. I just discovered that link the other day, I was pretty excited to say the least! Awesome, thanks, I’ll check it out! Thank you for sharing the recipe and the awesome video. It almost looks too easy to be true. Hi, I’m new here and I follow you from Rome, Italy. I appreciate your recepies but above all your pics, really great! OMG! I loooove this cake!!!! 😀 Delicious video! 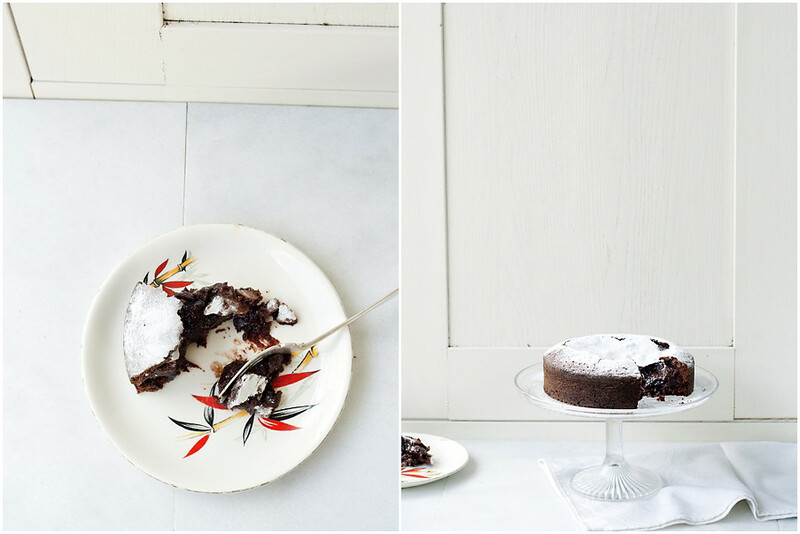 Last year I made a chcolate tarte that turned out like your Swedisch chocolate cake – by mistake. It was the best chcolate tarte I ever made and it drives me crazy that I don’t know what I did wrong! I want a slice of yours NOW please! Btw. I love your videos! Great work! Well, your complete blog is awesome! Hey! I was wondering if I could use unsalted butter instead? Or will it really change the taste? Hey izy! Love your site, I know you posted this years ago but I just discovered this! Ive made this delicious cake twice , unfortunately the two times I’ve made it, it sticks to the pan :s. Im greasing and flouring it like usual but for some reason I can never get it to come out of the pan. Both times its been delicious and my family loves it! But we have had to cut it in the pan and take each individual piece out carefully. What do you think Im doing wrong? Grease the whole cake pan well with softened butter. Cut out a circle of greaseproof paper, which is the same size as your cake pan. Line the bottom of the cake pan with the circle of greaseproof paper. Grease the greaseproof paper with more butter. Once the cake is baked, run a knife around the edge of the cake. Let it cool, then turn it out onto a plate, and peel off the greaseproof paper. Flip it right side up and serve. Otherwise, try using a cake pan with a removable ring, so you can get at it more easily, or use a silicon cake pan. I have a great tip for you, and that is to use breadcrumbs instead of flour (that’s how we do it here in Sweden!). Like the really really crushed kind. You don’t want big breadcrumbs, trust me… I’ve made that mistake ;). Or you can use dried coconut flakes. I like the coconut flakes better, cus not only do they add a tiiiiiny bit of flavour, they add a nicer crunch to it too. Happy baking! Have you tried doubling the recipe and baking in a 12 in pan? Does that effect baking time? I have tried several molten lava cake recipes and have not found the perfect one yet. I am going to try this tempting version but want to use ramikins. Any idea what the difference in cooking time would be if done like this instead of in a cake pan? I look forward to an answer on this as I can’t wait to try it! Thanks so much for your suggestion. When I try this recipe I’ll come back with feedback regarding cooking in the ramikins. such a cute vid. Was looking for a Swedish cake to make for my sweed husband. It looks amazing. in the oven as we speak. Thank you!!! Total success!!! I couldn’t believe how easy the preparation for this delicious cake was. I ended up over cooking it slightly, it was still ooey delicious but not sticky like in the pics. I used a 8 inch spring form and should have used a 6 inch. I set the initial timer for 20 min, too li’l time, added another 5-10 and that was about 3 min too many. My sis had to remind me it will keep cooking, good to remember with this delicious dish! We served it with Starbucks Vanilla Bean Frappaccino ice cream, there wasn’t a crumb left on anyone’s’ plate. Thanks for the recipe, love your blog! I have the cake in the oven now. however, I was troubled to see that the written directions differ significantly from what you did in the video, which is also different from your first version of the recipe. what gives? I was already too far along with the written directions given in this version to turn back. which way gives the best result? I wouldn’t say either are significantly different, I just changed the baking time in the written recipe to 20-40 minutes instead of 35-40 minutes (that’s the baking time that was written down in my mums recipe book, that’s what I used and it worked for me) however my brother made it and was all ‘izy it was too dry’ so I made a note in the recipe (you can probably see the mega bold writing I put in) that you need to check the cake after 20 minutes because the whole point of the cake is that it’s gooey! As its basically impossible for me to change the video to say 20-40 instead of 35-40, I just left it and thought that people would probably like to come to my blog and see the written recipe if they were going to actually make it! thanks for the quick reply. but I wasn’t talking about the baking time; that will vary according to one’s actual oven temp. I was referring to how the ingredients are added…all at once or not. that can make a huge difference in outcome! I used the written directions, and it came out fine, although it didn’t dome like yours. Hi Izy, I just watched your video for the Swedish chocolate Cake and it was so creative with you and the music, it was really enjoyable, you really have so much talent! Great job! I own a small Mom and Pop grocery with my husband and I do some baking for the store. I will have to bake this cake and offer it at the store, if it makes it that far that is, haha! Thank you! Izy, my girls LOVED this cake and I love it because it was so quick and easy to make. Has already become a family favourite. Great video too! Oh. My. Word. Made this cake tonight and it was amazing. I cooked it a little bit too long, but it still rocked. This will be my go-to cake from now on when the fam is jonesing for something sweet. Thanks so much! I made this cake and it was delicious! Used 1/2 cup butter and 1/4 cup melted chocolate chips (instead of 10 TBS butter). Baked in a 6″ round pan for 30 minutes and it was perfect. (Had a little batter left over made 2 personal size ones in silicone muffin cups). Served it with homemade sugared blackberries! YUM! Can I use 100% Unsweetened Chocolate instead of Cocoa Powder? Will there be a big difference? the unsweetened chocolate has fat and other ingredients in it that cocoa powder does not. You’d have to reduce the amount of butter and increase the amount of chocolate and I have no idea how much you’d need to use. Thank you for replying so fast!! I’ll just experiment with the 100% Unsweetened Chocolate, hoping the outcome is as tempting as yours. I enjoy every details of your blog, I think you should have your own Cookbook. Do you know what the serving size is for that cake? Quick question- for this cake (and actually I guess other cakes as well), if I make it ahead of time, and want to warm it up before serving (and serve with ice cream), what would be the best method? Is there a temperature/time that you would recommend? (ie 350 at 5minutes? )– to warm it up without drying out the cake? I guess conversely, I could microwave it, but I would prefer to use the oven! Thank you! I’m making it once more for a friend of mine except I figure it’s too sweet for her, is there a way I could make the cake while reducing the sugar amount and increasing the cocoa amount (with an added dark chocolate maybe)? Great looking cake but new to baking. Is it natural cocoa or Dutch processed or doesn’t matter. Hi, should I use plain or self raising flour for this recipe? Looks amazing! This cake looks delicious. Have you ever tried making it in a 8 inch cast iron skillet? Do you think that would work? How much time would you suggest cooking it? This recipe looks delicious and super simple. I was wondering though do you think I could use an 8inch cast iron skillet to cook the cake instead of a cake pan? Would you adjust the bake time at all? I made this cake for a little afternoon snack for some friends and I. I did reduce the sugar to 1.5 cups and it was still very rich and chocolatey. The batter fit into 6 small ramekins (a perfect individual serving!) and baked for about 15 minutes. I didn’t bother flipping these out and opted for serving it with some ice cream on the side. The is a stunning dish and I think would be great at a party as well! I love how simple it was to make such an impressive dessert. In addition, I used 1 pot and 1 measuring cup. Solid. I made this cake yesterday and the texture was absolutely perfect – set and chewy on the outside, gooey in the middle, crisp on top. However, it was much too sweet for me – I think I’d like to reduce the sugar to about 250g instead of 350. If I do that how should I adjust the rest of it to keep the right texture? Should I reduce to two eggs? What brand cocoa powder do you recommend? Hi! Would it work if I were to make these as cupcakes, or mini cakes? How long would I have to bake them for? Looks delicious by the way! Could I make this with Oat Flour instead of regular flour? Or almond flour? you could try! If you do that, I’d say you should reduce the amount of sugar by 100g (1/2 cup). Also if you used almond flour, maybe use 2 tbsp less butter..
I’ve been waiting a while to try this recipe out but have been hesitant because that is a LOT of butter for such a small cake…but I finally went for it one day when I had a bunch of little kids over…and little kids always need more sugar, right? Right? Hello again! Second comment from me this week. Why? 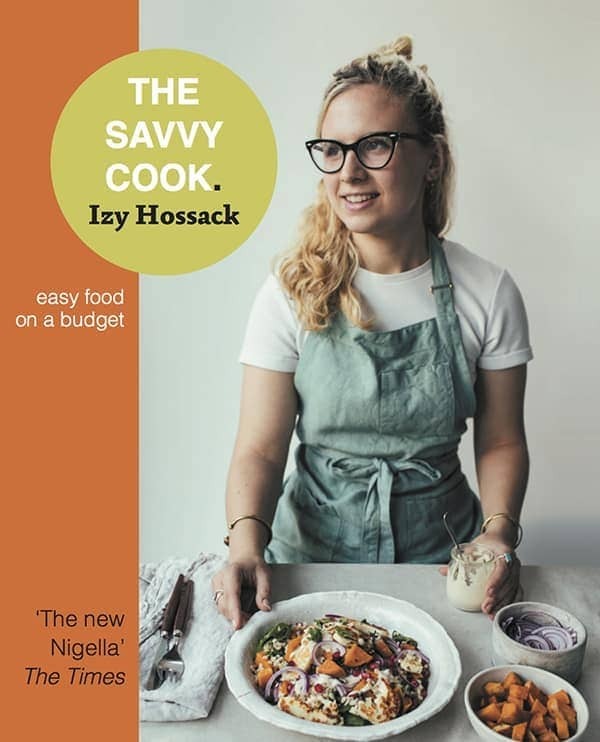 Because I have just baked a second recipe from your website – that’s 2 in one week and both were AMAZING!!! I have my whole family thinking I am a talented cook and I keep telling them “It’s this blog I found!” This cake is truly wonderful and mine looked just like your photos. Can’t wait to try another one of your recipes. Thank you!!! Hey there! First of, this cake looks absolutely delish! I would just like to know if the cake stays as gooey if I make it in advance? Will it be still good if I make it in the afternoon to eat it as the desert for dinner? Hi, I would like to make this cake and take it to the office. Can I make it gooey again if I heat it up in the microwave at the office? Hi Izzy! I’m thinking of making this cake tomorrow for my birthday. However, I don’t have anything smaller than a 9 inch pan; would the cake be too thin if I used that? Would I have to shorten the baking time? Thank you! Oh my god, I just found your blog and I’m so much in love with your work! 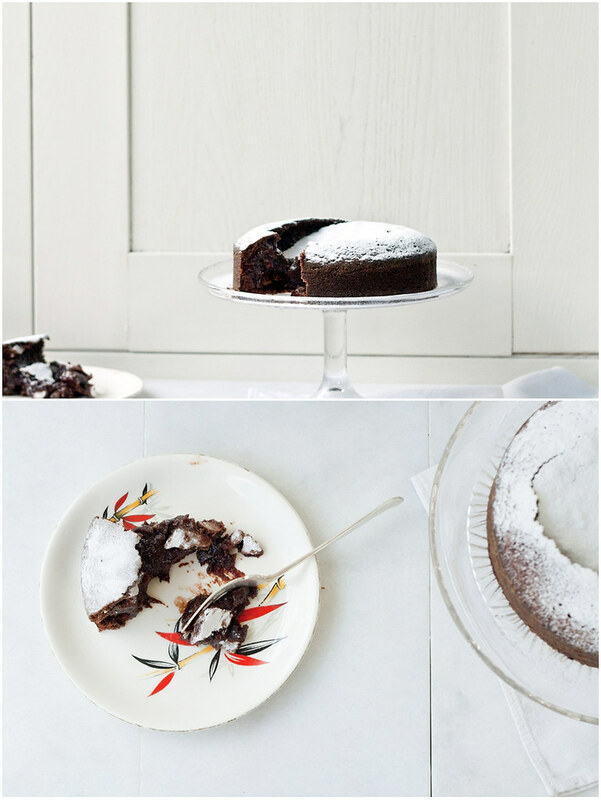 It seems I’ll stay a while and – of course – for a pice of this perfect chocolate cake! can u use brown suger instead of white sugar? Will all purpose flour do? This look insanely good. I’m not the biggest icing person so this is the perfect cake for me!